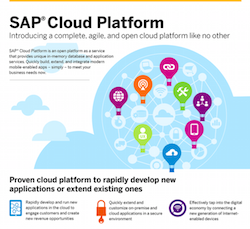 SAP Cloud Platform is an open platform as a service that provides unique in-memory database and application services. Quickly build, extend, and integrate modern mobile-enabled apps - simply - to meet your business needs now. Download our infographic now to learn more!